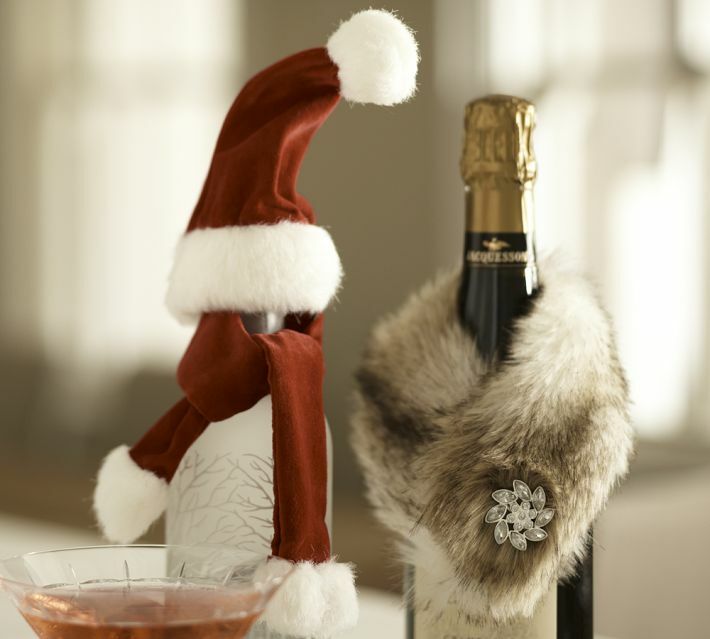 Keep fur on your decorating must haves list. 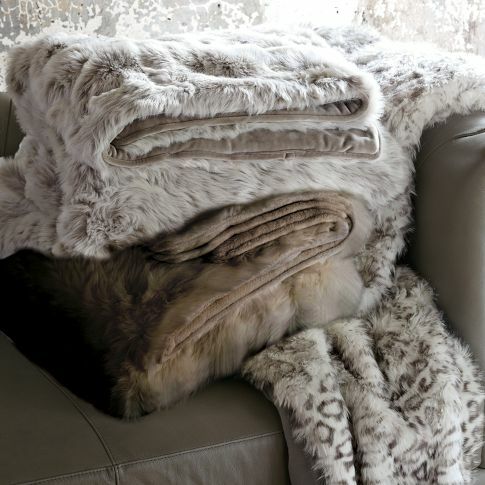 I have found these beauties for you can use when warming your home up for the Christmas season! 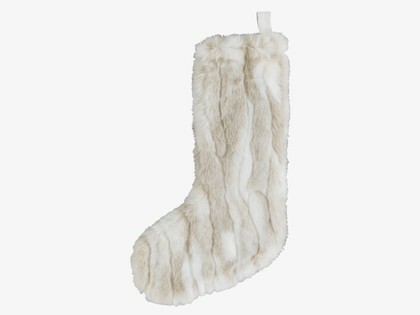 This is a seriously gorgeous stocking! I found this on Habitat…a UK site. I would love a bunch a different colors to hang around the fireplace! This would look sooo good under my tree! Tree skirt is from Arcadia Home. Why not my whole bed? 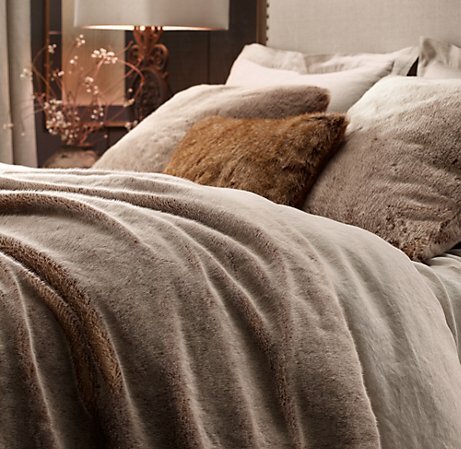 Looks heavenly…..love Restoration Hardware! 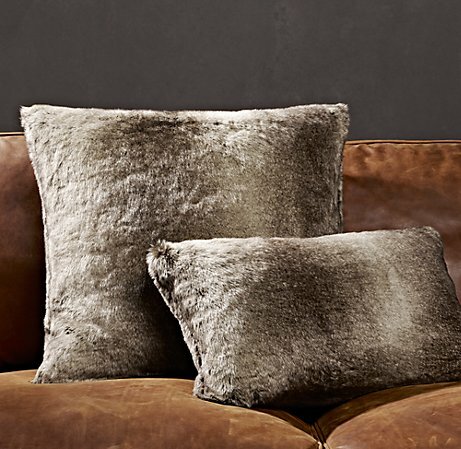 Some more beautiful throws from West Elm. 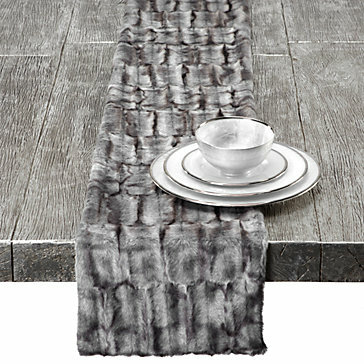 And finally……this gorgeous table runner from ZGallerie….love. 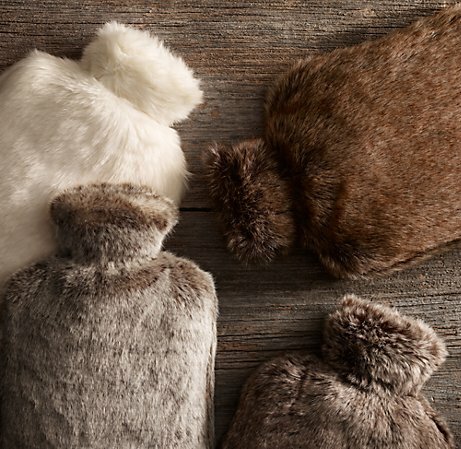 Hope you enjoyed and are inspired to cozy up for winter! So here it is……my first Christmas post. Yes, it’s only October and I should be thinking about Halloween but I’m not. Especially because I know I need to order what I want in November so I can I have it all for December 1. Christmas time gives me the opportunity to completely justify the redecorating of my whole house. Usually I can slip in some paint and some other little reno that I can completely justify to Mike. He is so good at letting go off on my whirlwind of holiday bliss. 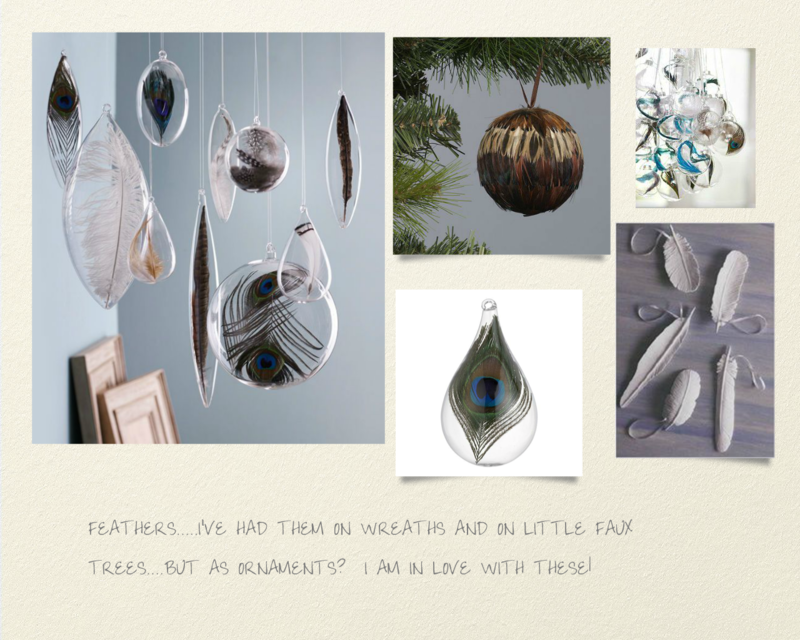 Feathers ornaments are so beautiful and I love how you can easily make a DIY project out of them. The large assortment of feathers on the top left can be found at Seltzer Studios I found the beautiful feather wrapped ornament at John Lewis , Red Book Magazine showed the large grouping as aDIY for a table chandelier. Made by Roost you can find the feather porcelain ornaments at Out of Gray. The single peacock ornment is sold at Crate and Barrel. I love owls….like LOVE them. They are so beautiful and I REALLY love them in my Christmas decor. Starting at the top left here is where I found these beauties. Cute little fluffy owl (branch not included) at West Elm. the Pearl white owl is from John Lewis. 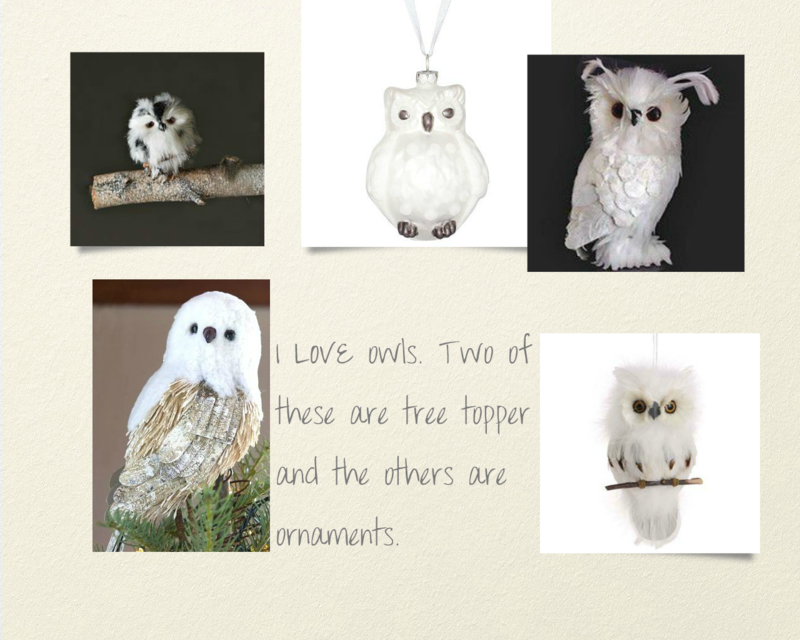 The winter owl tree topper I CANNOT find anywhere. However….last year I became completely obsessed with having this owl on top of my tree. So I bought a white feathered owl from a store, ordered some feathers, glued them on and ended up with a pretty close comparible. It was a fun project…although very messy (feathers EVERYWHERE and Mike was a “bit” annoyed with me). Ok…ridiculously cute fluffy owl I found on Trendy Tree. This site has a lot of cute owls, birds, etc you can find….and my favourite part about this site….not expensive. For those of you who do not want to turn there house into a feathery disaster, Pottery Barn has come out with their own version this year. He is cute….very woodlandish. I really like simple non fussy decorations. 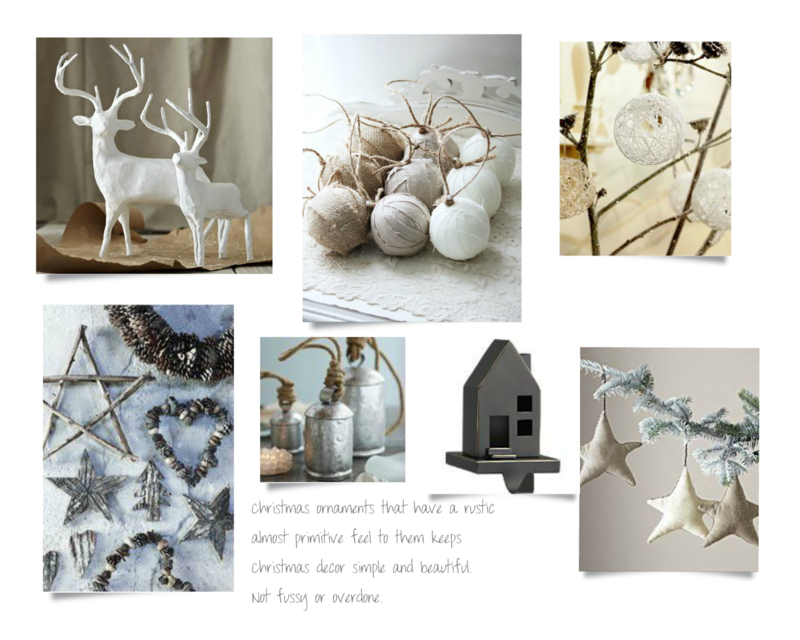 Decorations that have a handmade feel (whether I made them or not) . What a really like about all of these is that although they have a rustic, primitive feel to them they all feel very modern. Starting with the lovely papiere mache deer i found at West Elm. The fabric wrapped ornments on Etsy are so simple. I love the way the fabric gives them such a nice texture. The string ornaments are a DIY on Martha Stewart’s website…I love you Martha. Wired stars are fabulous, I really love their shape. You can find those on the Garnet Hill site. House stocking hook is from Crate and barrel. Silver temple bells, Vivaterra. The final bunch I found on a Danish site calle Oi Soi Oi. I don’t think you can buy these but I love how they show you can make beautiful Christmas decoration from unexpected materials. These are SO pretty. It never ceases to amaze me the impact one word, or on black and white image can have. The german glitter frame , I found on Pottery Barn, is just beautiful. I love trees and the sparkle they added is just perfect. The She Loves Christmas ornament hits a personal note for me. It is made by Beth Quinn, blogger, jewlery maker. She is so talented….definitely worth exploring her shop and her blog. The book ornament is made by Brookish on Etsy. I love how you can capture your favourite words on something you can bring out once a year, this particular one is Pride and Prejudice. Okay the music sheet ornament is BRILLIANT. It is photocopies of christmas sheet music decoupaged onto a glass ball. I am doing White Christmas FOR SURE! 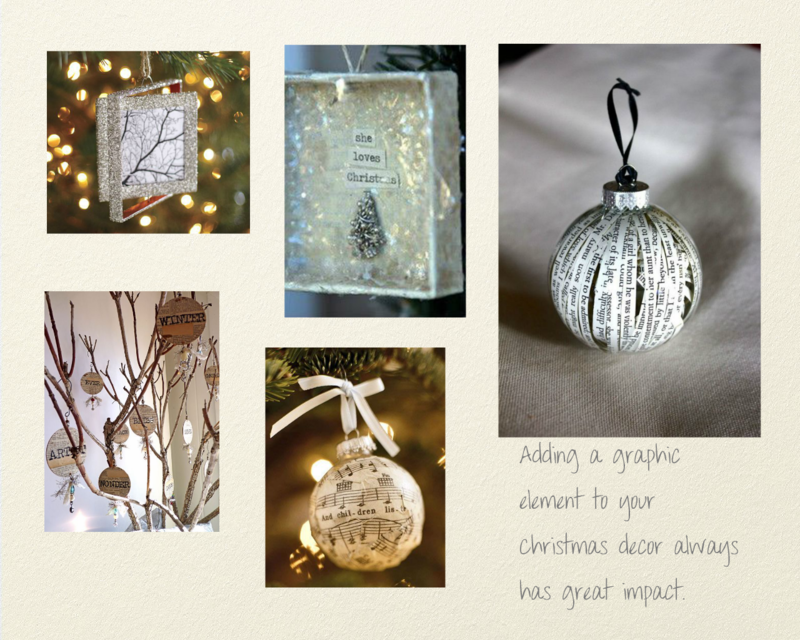 The typepad ornaments can be found on Ornamental, another fantastic blogger and Etsy shop owner. Oh my goodness…..I can’t get enough of any of these! You’ll either love or hate these. I honestly cannot get enought of the mermaids! Mermaids and deer are from Plasticland (very cool site). Bear cup (and other varities are on Modcloth. Flying pig (oh my goodness….can you stand it???) is sold on Vivaterra. Jackalope jewelery holder, Seltzer Studios. These white nesting doll are actually measuring cups, can be purchased from Urban Outfitters. Okay…..this is it for now. I am already thinking of a million other things I need to blog about for Christmas! Hope you enjoyed!